MCT or Medium Chain Triglycerides are fats which are shorter in length than your average fat found in cooking oils and high fat products such as cheese & butter. Two notable sources of MCT oils include palm & coconut oil. MCT oil is thought to be metabolised faster, which is the reason why it's been used as both a fat loss support ingredient & one to support endurance. MCT oil generally works best with other ingredients such as carbs and protein for best effects. The recommended dose of MCT Oil starts at 5g/day. MCT (or medium chain triglyceride) oils are naturally occurring fats that are shorter in length than the typical fat. The fats we are often familiar with often have long chain lengths, of over 12 carbons (long chain triglycerides or LCTs). MCTs only have 6 to 12 carbons, which give them completely different chemical and biological properties compared to other fats and oils. They have been well studied for their ability to aid in weight and fat loss, as well as also providing some potential to improve exercise performance. XTC Oil is another potent oil on the market that is extracted from palm and coconut oil. 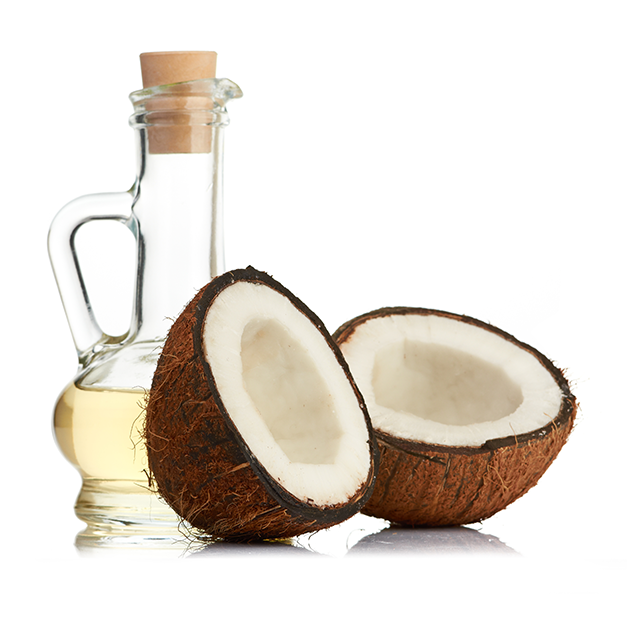 It is 100% pure and has a level of 8-10 carbon saturated fat level (Caprylic C-8) and Cupric Acids (C-10) which means it is up to six times more concentrated in C8 & C10 compared to coconut for high energy levels. XTC is predominantly metabolised by the level into energy in the form of ketones which can be used by the brain and body. Many foods we consume do not contain many MCTs. However, two notable sources of MCTs include palm and coconut oil. MCT oils are more water soluble and have different properties compared to long chain triglycerides. Consequently, they are also digested differently, and much quicker compared to long chain triglycerides. This gives them a unique set of biological effects. MCT has been studied extensively in the field of exercise and sports science. It was hypothesised that because MCTs are digested much quicker than other fats, they may be able to provide a good, rapidly available fuel source for endurance athletes. There is some evidence to support this theory. It has been found that supplementing athletes with 6 g MCTs/day was able to increase cycling time to exhaustion by almost 76%, increase fat usage, while significantly reducing lactic acid levels, compared to supplementing with LCTs (Nosaka et al, 2009). Another study showed that MCTs were inferior to carbohydrates in boosting endurance. However, the addition of MCTs to carbohydrates resulted in a synergistic effect between the two nutrients, giving best endurance performance (Van Zyl et al, 1996). Countless studies have documented that the benefits of MCTs for fat loss. Unlike many other fats, MCTs are transported in the blood, which makes them far less likely to be deposited into body fat. They are also metabolised rapidly, and increase energy burning (Clegg, 2010). The beneficial effects of MCTs kick into action almost immediately after they are consumed. It has been shown that thermogenesis increased as a result of consuming MCT rich meals, and it did so to a greater extent for obese people (Scalfi et al, 1991). When maintaining MTC consumption, this effect has been shown to last up to two weeks, with thermogenesis slowing down in the later days (White et al, 1999). But fret not! Despite the reduction of thermogenesis after a few weeks, MCTs have been shown to be very effective for long term weight loss, as a result of its effect on appetite suppression. It has been shown that consuming MCTs resulted in a reduction of body weight and total voluntary energy intake compared to LCTs (Han et al, 2007). Another study showed that supplementing with only 5 g MCTs/day for 12 weeks while dieting, was sufficient to cause an additional 58% loss of body fat compared to those receiving LCTs (Nosaka et al, 2003). Various studies indicate that MCT Oil plays a significant role for those who are on the ketogenic diet. MCT Oil offers the benefit of increasing performance by giving your body quick, sustained energy and are not stored as fat. You will find MCT oil combined with BHB salts mainly in ketone supplements & high fat low carb and moderate protein powders to deliver the best results during a ketogenic diet. As the MCTs found in MCT oil are absorbed and metabolised so much quicker, they provide a near instant increase in energy levels which can help to improve athletic performance. In other words, MCT oil behaves more like a carbohydrate than a fat. Unlike other fats, MCT oil does not go through the lymphatic system but is transported to the liver and releases energy like a carbohydrate producing more ketones to be used for fuel. MCTs do not work well on their own to boost exercise performance. They need to be augmented with other nutrients to work effectively. To do this, it has been reported that fairly large doses have been explored (85g/hour), and doing so results in gastrointestinal upset. Combining MCTs with carbohydrates has been shown to help with reducing these side effects (Clegg, 2010). Other than stomach upsets associated with consuming large amounts of MCTs, these naturally occurring substances are safe for consumption. Consider smaller doses and taking it with food to reduce side effects. The effect of MCT on weight loss has been shown to be effective at doses as low as 5 g/day. This is therefore the recommended dose (Nosaka et al, 2003). It can be broken up into smaller doses throughout the day, and it is recommended that it should be taken with food. MCT can be found as a stand-alone supplement. It is also a common ingredient found in high fat, moderate protein and low carb protein powders & meal replacement powders. To experience the benefits of MCT in boosting exercise performance, it should be stacked with carbohydrates and protein. This is actually a very common blend, as these ingredients occur simultaneously in weight gainers. It can also be taken in conjunction with fat burners and fat metabolisers as a weight loss aid. Nosaka et al (2003), Effects of margarine containing medium-chain triacylglycerols on body fat reduction in humans. J Atheroscler Thromb, 10: 290-298.